The 8 Best Smoothie Places in Arkansas! Combining an energizing variety of fresh fruits and vegetables, smoothies make the perfect sweet treat AND awesome post-workout drink. From traditional varieties like strawberry and pineapple to more unique combinations like lemon ginger spinach and apple kiwi kale, Arkansas’ smoothie shops have something to suit your palate. Here are the best smoothie places in the state! Tropical Smoothie believes that if you eat better then you’ll feel better and that healthy motto really shows up in their tasty menu. For over 20 years, this popular café has been serving up some of the most flavorful and healthy smoothies around. The Tropical Smoothie menu includes seasonal, classic, and superfood smoothies made from simple, fresh ingredients with a variety of healthy supplement options. You’ll find smoothies with a purpose at Smoothie King. Since 1973, this place has been inspiring people to live active, healthy lifestyles. No matter what kind of smoothie blend you’re looking for (fitness, slim, wellness), Smoothie King has the right selection to fuel your unique needs and purpose. Check out some flavors like the lemon ginger spinach, the Greek yogurt raspberry, or the apple kiwi kale. Get ready for good eats and healthy treats at Natural State Smoothies in Fayetteville, Arkansas. This place is owned and operated by a family of Razorback-lovers who believe in getting back to the natural state of being. From powder blends and dairy-free blends to fruit blends and veggie blends, you’ll feel good with any smoothie choice you make at Natural State Smoothies. Celebrate health and happiness with this franchise smoothie shop. Planet Smoothie boasts having the best tasting smoothies on the planet! 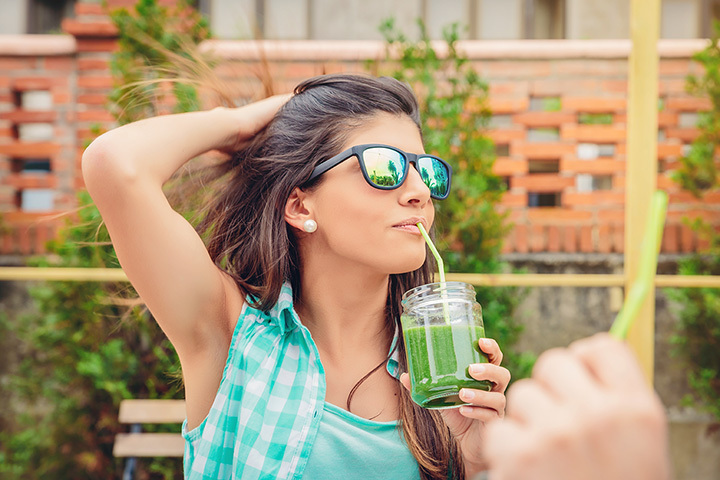 You’ll find tasty choices like superfood, protein, and energy blends with a variety of add-in option to create the perfect smoothie for your taste buds and lifestyle. Orange Julius has been keeping it real since 1926. For a refreshing treat, try one of their premium fruit smoothies that are smoothly blended with real fruit, low-fat yogurt, and sweetener. Popular flavors include mango pineapple, strawberry banana, and strawberry. This place is a sustainable-focused, health-driven joint were you’ll find smoothies made from only USDA-Certified Organic products. Juice Palm revolves around giving guests the ability to feel restored. Smoothie choices include titles like Live Decadent, Live Exotic, and Live Minty. At the locally and family owned and operated Berry Natural, they aspire to inspire! The health benefits of raw foods, juice, and herbs play a huge part in the menu choices. Let your imagination soar while you check out their dairy-free smoothies…if you can imagine it, they can make it. Paninis and Company is located inside of the Midtowne Shopping Center in Little Rock. Their delicious smoothies are made with high-quality, fresh fruit and vegetables with no added sugars or pumps. Some smoothie flavors include the Avocadelicious, the Pineapple Coolada, and the Pink Dragon.